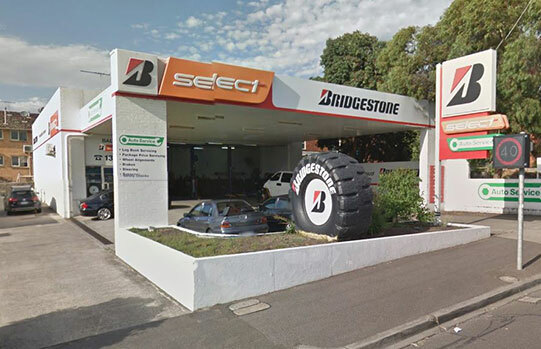 Just because Donnellans are the tyre experts, we don’t expect you to be. So before calling into one of our stores, here’s some gripping information and advice about tyres you’re sure to find valuable. Q: How do I know that my car has the correct tyres? A: Your car will have a placard fitted either in the glove box, on the driver’s door pillar or under the front bonnet. This placard will tell you the correct size of the tyres, the speed rating, load capacity and vehicle manufacturers recommended inflation pressures. Q: How often should I check the pressure in my tyres? A: We recommend that you check your tyre pressure each week. It’s best to do so when the tyres are cold, so the first thing in the morning is usually best. Q: How can I find out the correct pressure for my tyres? A: Your car’s handbook should contain this information or refer to the placard fitted either in your car’s glove box, driver’s door pillar or under the bonnet. Otherwise, you’re most welcome to view a pressure chart at any one of Donnellans stores. Q: Is it okay to mix different types of tyres? A: You should avoid mixing different brands of tyres as the various construction styles may harm the vehicle’s axle. 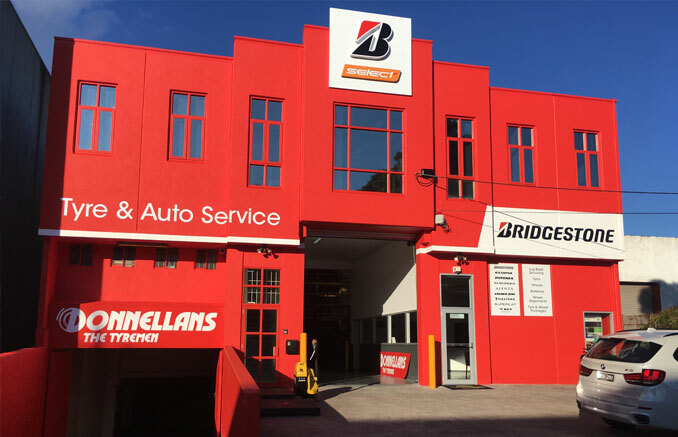 If you suspect your car has different kinds of tyres, give the friendly staff at Donnellans a call right away. Q: How can parking affect my tyres? A: If you’re not a careful when you park, you could be harming the sidewall areas of your tyres rather than the tread. Try to reduce impact fractures to the sidewall of your tyres by limiting contact with kerbs. Q: Why does my car vibrate and not handle very well? Q: Why are my tyres wearing unevenly? Q: Why are regular wheel alignments so important? A: In order to achieve better fuel economy, balanced wear on your tyres and a straight journey down the road, your car's wheels need to be aligned at regular intervals. If you’re prone to hitting the odd curb, chances are your wheels are not aligned correctly. Come and see us at Donnellans for a precision wheel alignment. Find out more about our wheel alignment service. Q: Is it advisable to use a sealant to repair a puncture? A: If your tyre is punctured, it should first be inspected internally to assess the damage. Sealants should not be used as preventative measures for punctures and may in fact invalidate tyre warranties. Q: How do I know if I my existing tyres have enough tread? A: Take a close look at your tyres. If there’s a line across the tread, chances are your tyres are unsafe to use in wet conditions. Tyres have indicators in their tread pattern to show when the tread is reduced to 1.6mm. This is the manufacturers warning that the tyres need to be replaced. A: All used tyres at Donnellans are disposed of in a responsible manner. Some can actually be re-treaded which means they have a second life. The other tyres that can’t be re-used are used as a fuel source for cement kilns. Q: Can you help me understand the markings on my tyres? A: At the time of manufacture, car tyres have a code moulded into their sidewall to help you understand their capabilities – including the tyre’s construction (e.g: radial), its size, load-carrying capacity and its speed rating. Q: How do I tell the age of a tyre? A: Have a close look at your car’s tyres. You’ll see a Tyre Identification Number (TIN). It shows the date of manufacture. The last three digits (for tyres made pre 2000) or four digits (for post 2000 tyres) of the serial TIN indicate the week and year that the tyre was made. Q: My tyres don’t appear to show any wear, should they still be rotated? A: Yes. To prolong their life span, tyres should be rotated every 10000 kilometres even if there is no sign of wear. Whilst they may not appear to be worn, the tyres on the front of a vehicle experience more extensive wear and tear to those on the rear. Q: What is a car tyre’s aspect ratio? A: Basically, it’s how tall or short your tyre is. With the advancement of modern vehicles and the demand for performance, most cars now have lower profile (shorter) tyres. These lower profile tyres generally improve the vehicle’s steering response, handling and the car’s appearance. If you would like to upgrade to a lower profile tyre, call Donnellans for the best advice. Q: Why is it so important to have tyres inflated correctly? A: Tyre casings break down from prolonged under or over inflation. Different parts of the tyre are exposed to great wear and tear with incorrect tyre pressure. Under inflation for example can cause excessive flexing in the tyre which builds up internal heat and may eventually weaken the casing. Tyres that have excessive wear on the edges may be underinflated, tyres the have excessive wear in the centre may be overinflated. Still got a question? We're here to help - Call one of our stores now or visit your nearest store to speak to the experts at your nearest Donnellans store.